These are five of the best places in the world to practice adventure sports indoors. During the winter, Ray’s Indoor Mountain Bike Park gives Midwestern riders a refuge from the snow, wind, and ice. Ray’s caters to riders of all levels, from newbies riding the low wooden pathways of the beginner room to freeriders that come to fling themselves off the eight-foot drop. 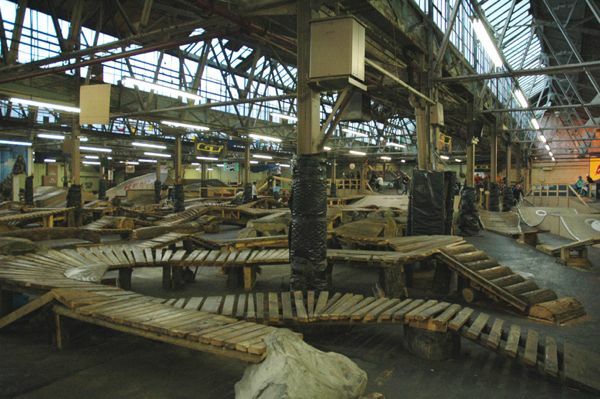 Ray’s is housed in an industrial complex and has over 110,000 square feet of terrain. The park closes from May through October to completely rework the structures, giving it a new feel each season. 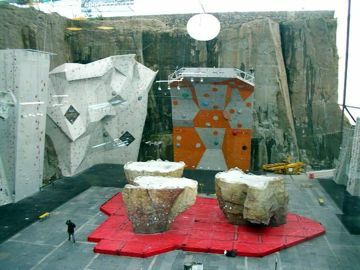 The damp winters in the UK prompted climbers Duncan McCallum and Rab Anderson and architect David Taylor to build the Edinburgh International Climbing Arena. Built in a former quarry, this climbing mega-complex is the biggest in the world, with hundred-foot-high walls and bouldering problems graded up to V15. Besides climbing, the arena also has rappelling and “Aerial Assault,” a free-hanging obstacle course high above the arena floor. This surfer-friendly water park features Wave Loch’s “FlowBarrel 10,” an standing wave generator designed to mimic the ocean’s best breaks. At full power, its jets propel 130,000 gallons of water a minute over a curved surface to create a ten-foot pipeline. This consistency means that even beginners can drop in. Chill Factore is an indoor ski area that offers fresh snow year-round. Besides their surprisingly long slope, Chill Factore has a freestyle park with kickers, funboxes and rails, as well as a 60-meter luge run. Even with two T-bar lifts ferrying skiers to the top, lift lines can get long during peak hours. SkyVenture simulates the feeling of skydiving by using a 1200-horsepower turbine to let visitors float on a cushion of air. Experienced skydivers can work to perfect difficult moves that would normally take several airplane jumps, while novices can simply enjoy breaking free of gravity’s hold. First-time visitors have to complete a 20-minute training class before using the tunnel at SkyVenture.